Prototype 2012 Black 12" Stealth Super Snubber Development of our new 2013 Super Snubbers began late May 2012 off the Port of Manistee, MI. Snubbers we used that day had about as much stretch as Scrooge's budget. We missed a couple-three wire diver bites. This started the process rolling to come up with a snubber that actually had some give to it. For diver snubbers to perform on they must stretch in the 4 to 7, maybe to the outside ...10 pounds of direct straight line pull. Ours have about 12 inches of forgiving elastic yield in the desired range mentioned. Super Snubbers will extend out to plus 30 inches with 20 pounds of pull. Other manufacturers snubbers do not even come close to these numbers. Momentum is a big part of any sport. Getting off to a good start is a tone setter helps all the other pieces of the puzzle fall into place. Missing fish is not a momentum builder for any fishermen who's time on the water is limited. Lost opportunities can never be regained. Missing fish is totally unacceptable and must be kept to a bare minimum. Our 2013 Super Snubbers spent a year in R & D to ensure the best sweet spot for cushion and forgiving stretch that exceeds all other diver snubbers on the market today! 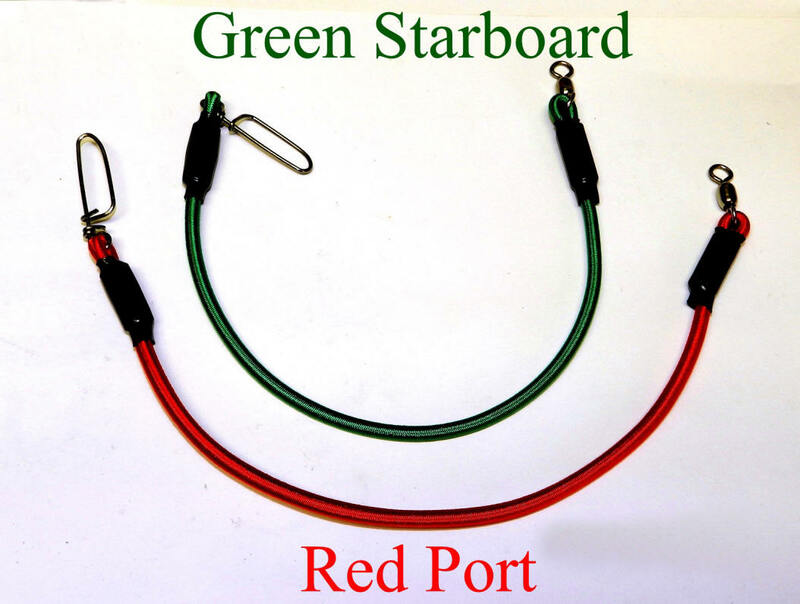 We tested 3 diameters of shock cord and several different lengths in 2012 on 3 boats. 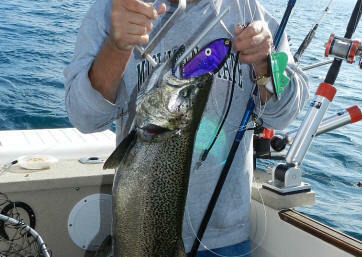 In every case, hook-up to landed fish ratios on diver strikes went up at least 25% on hard-mouthed adult August Kings. No brag, just a reel-fact! 50 lbs. of total weight! 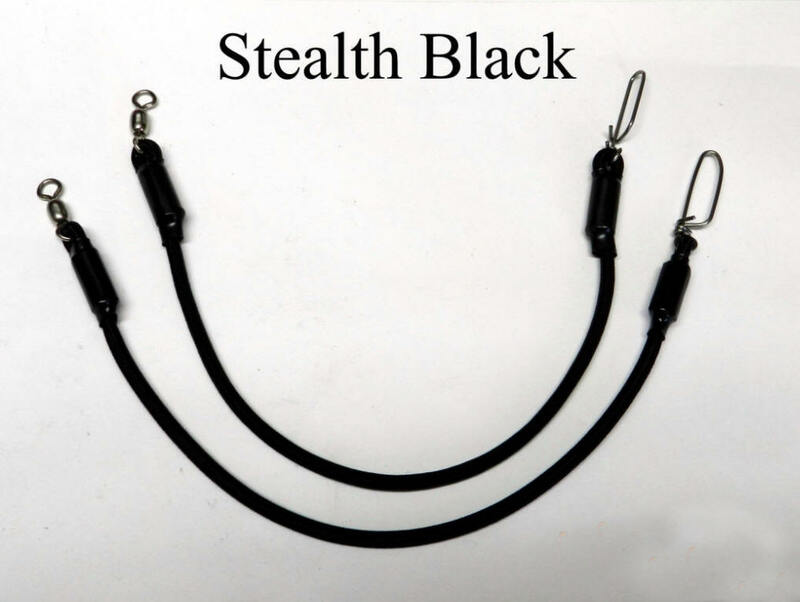 Snubbers are a cushioning device that goes from the lure to your chosen brand of diver. Reason? ...to provide some added give to release some of the stress of a diver tension that can jerk hooks free from your fish. Snubbers are extremely important with 7 strand stainless steel line that have no stretch. Low stretch thin super line Spectra lines benefit from snubbers too. Monofilament line divers will hold more fish with snubbers too. But not as dramatically and wire and braid divers. The sweet spot on snubs to perform is in the 4 to 8, maybe 10 pounds of pull. Our Super Snubbers outperform every snubber on the market today in the above pull weights with 12 inches of elasticity in that zone. 2013 Super Snubbers will extend from 12" to about 36" when dead lifting 50 pounds of weight. Once upon a time there were no diver rods, no super lines, no big rings (to add depth) for divers, or mag divers. The once upon a time part goes back to the mid 1980s. 10' diver rods came out around 1986, or so ...as diver fishing, became a daily staple in Great Lakes fishing. Divers took a lot of fish back then, but when the thermocline went deep there was no way to get your divers to depth the deep fish were holding. This thin 7 strand wire once a staple to the early 1930s and 1940s sport trolling for Lk. MI Lake Trout was available, but not used as Dipsy Diver line until 1989. Keeping in mind, there was no super braid Spectra lines back in the later 1980s. Spectra fiber lines debuted in about 1992. Thin line is the key that provides the ability with wire and braid divers to reach depths of 100' down and beyond. 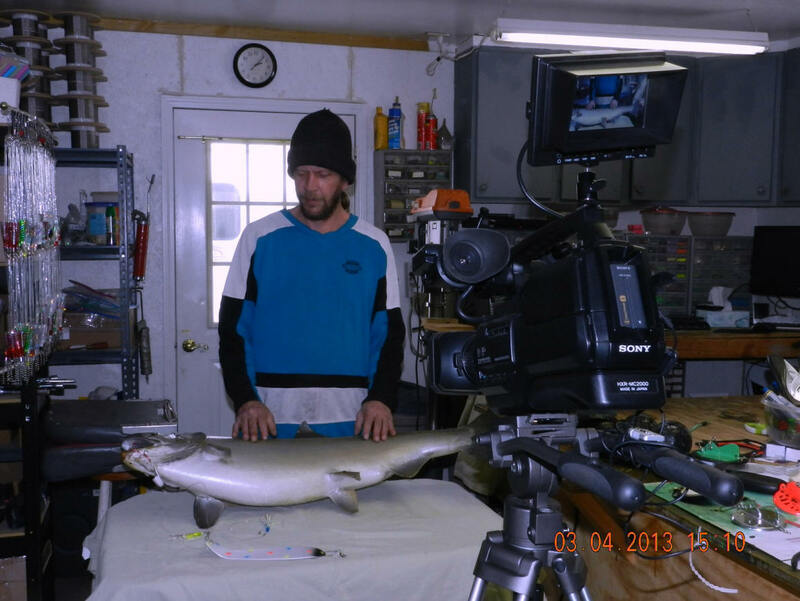 Directional divers reach out to the side for your boat to cut a wider trolling path that gets to more fish. In turn, presenting your offering to a larger fish audience.